But more than that, he was a genuine hero - an iconic character who inspired people from all over the world. He made a massive impression on me when I was growing up. I started watching Formula 1 with my dad when I was just four or five years old. I loved cars. At the time, Senna and Alain Prost were the leaders of the pack and they immediately caught my attention. Ayrton was always very cool and composed when he was interviewed after the race. On top of that, kids are attracted to colours and I loved the orange and white McLaren and Ayrton's yellow helmet. I started to watch him and follow his success and, as I got a bit older, I began to want to know a bit more about the guy. I really came to understand his character and appreciate his amazing approach to racing. 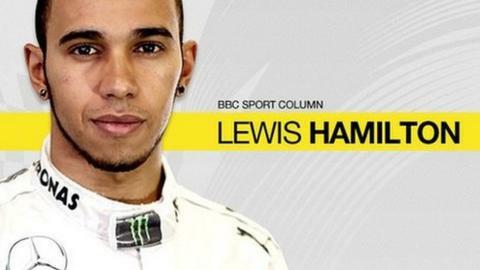 I knew that he started racing when he was a boy in Brazil, and that like me he'd been helped into karting by his dad. He moved to England when he was around 20 to pursue his dream, and I was impressed by that dedication. But it was the fact that Senna was just an out-and-out racer that was most important to me. I can really identify with that. It's exactly how I feel I am. That's why I feel I have had that connection with him since I was a kid. I want to race, and I feel like he was one of the only real racers I had seen. He was a complete contrast to Prost and the battle between the two of them was an epic contest that has become one of the great sporting rivalries of all time. Prost was known as the smarter driver. He was older and looked more thoughtful and considered. He had a different approach from Senna, in and out of the car. But Senna had the real raw talent. He had it in abundance. He was able to show it because he was in a good car most of the time, but you've got to remember that he only got the good car because he had such great ability. It's fascinating now to look back at the years when he and Prost were racing head to head against each other in the McLarens at the end of the '80s. Both drivers were at their absolute peak, and it's so exciting even now to watch the tapes of the two of them pushing it to the limits. People say I have an aggressive style and sometimes I don't think that is all just me. I think it's partly because I watched Senna when I was young and I thought: "This is how I want to drive when I get the opportunity." And I went out there and tried it on the kart track. My whole approach to racing has developed from there. Senna was also such a magnetic personality. I particularly loved his vulnerability and his openness. I only had the chance to meet him once, the year before he died, but it left a lasting impression on me. As a kid, you see these people and you think they're super-heroes. But everyone has weaknesses. And for all Senna's brilliance and achievements, so did he. It was fascinating how he overcame those, and how he was able to talk so eloquently about what he did, including the dangers involved. I was also impressed by how open he was about his relationship with God and his beliefs. That's something I grew up with, but talking about it was frowned upon by a lot of people I was around when I was younger, even some members of my family. Now I feel like I can be open about it. That's not because of Senna; it's just because I'm older. But it's another connection. I was only nine, and it was very difficult for several days to really understand the magnitude of what had happened. Your hero's gone. Ayrton Senna was an incredible legend, who will be remembered and admired forever. He had the rare quality of greatness. Even now, you can still learn things from how he approached racing and how he drove.